This interview with Bud Cort is more to my liking. Some people seem to insist on hanging darkened clouds about the most talented souls out there, go figure. The movie Harold and Maude also saved a bit of the 1970’s spirit along with its general genius. I was about 11 years old when this movie came out…. Today I love watching it as great memorabilia to a time passed, but a great time in history. It was good to be Bud Cort in 1971 and it should still be great to be this accomplished, loved actor. 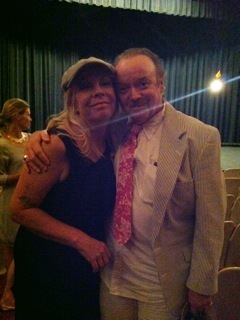 Congratulations to Bud Cort. I wish we could see you more often. I was sad to hear about your accident.